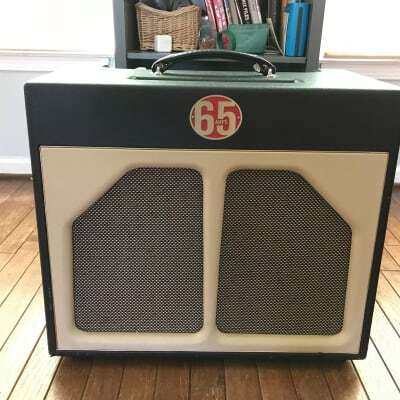 London Pro 1x12 Combo, Tube Combo Guitar Amp from 65amps. 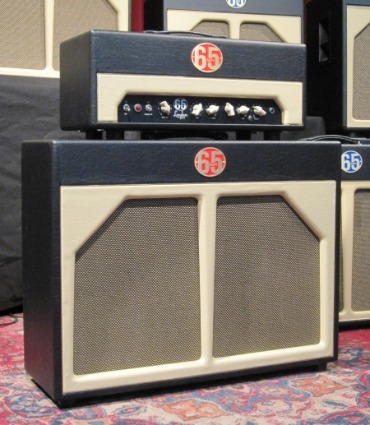 65 amps have been a great company that features highly enriched tone with a great feeling for dynamics. They have so many amps to choose from so there has to be something up everyone's alley. One thing that is unique to them is their cosmetic appearance. they have a unique look to their amps that can be hit or miss. Someone people I know either like it or some hate it. I am not really a fan of the way they look but boy do they sounds fantastic. This is an amp that has a fantastic tone that really comes through when playing it. I would categorize these amps in the studio amps because of the low wattage and volume you can get at low volumes good for recording. Now a days people are going more and more for these low wattage amps and this is one of those combos that has a great rich tone that feels and sounds like El34 power tubes but to my surprise was EL84. That is the main power tube used in the old Vox amps and it has that vintage British character to it but this amp is anything but vintage. This amps has a load of features and is basically a 3 channel amps because you can combine the two channels for a 3rd channel. Honestly there really isn't anything this amp cannot do for the British tone. You can find these amps for new right at around $2300 which is a great price for a high quality boutique guitar amplifier. This amp will stay with you a long time in my opinion because of how well it is built and how good it sounds. This is an amp that can get a great tone with virtually any setting that you have it in. My overall opinion on this amp is to play it if you can and if not you don't have to worry about blind buying this thing online because it is a great sounding amplifier. 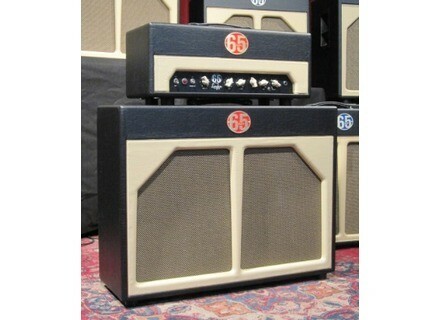 The 65 amps have such a great earthy organic tone that has a wealth of sounds available. I really have grown very found of the 65 amps because of their great attention to detail. 65amps introduced its new Red Line of amplifiers - the first model in the series, the London Pro tube amp is hand made in the USA, and is a 18-Watt tube powered by 2xEL84s.